Today, Sam had to come into town for work to pick up turkeys (the Nut Co. gives all the employee’s turkeys as a gift every year). We happen to be out and about, so Audrey and I met him at the store to say hi. 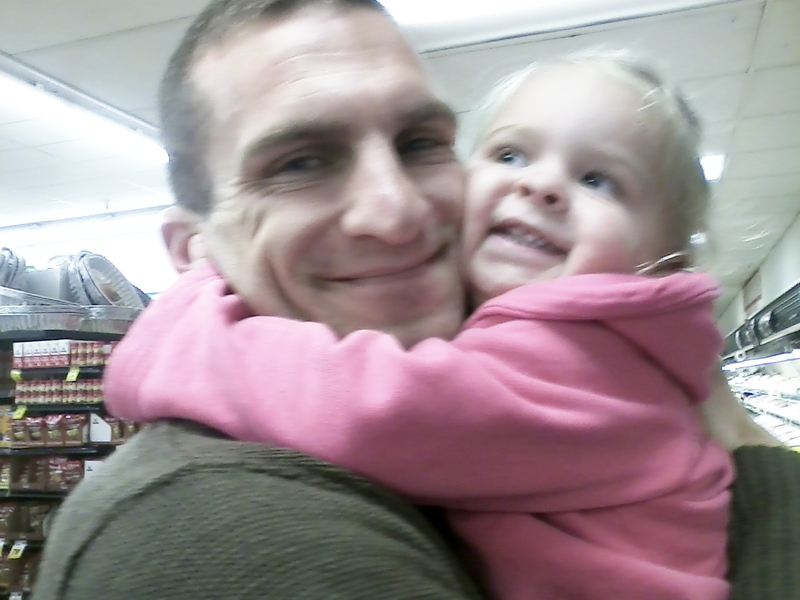 Audrey was so excited to see him, and a bit surprised to see him at the grocery store instead of home or work like normal. She was giving him hugs and loving on him so I got a quick picture with my phone, she gives the best hugs around the neck, it’s cute! She sure loves her daddy. So darling.